When it comes to skincare, you should be paying just as much attention to what you put into your body as what you use on your face. What you eat not only affects your weight and your health but also your skin which happens to be the biggest organ in the human body. I once talked about things that I do for my skin and eating a healthy balanced diet is one of them. Avoiding refined and added sugars factors greatly into that. In fact I'm fairly convinced that giving up sugar is one of the best things that I've ever done for my skin as well as my body. Scientists have found that sugar can be as addictive as drugs like cocaine or heroin and it stimulates the same pleasure centers of the brain. While eating cookies and cakes and other sweet treats may satisfy your sweet tooth, it may also trigger a case of "sugar face" which is not so fun and definitely not cute. 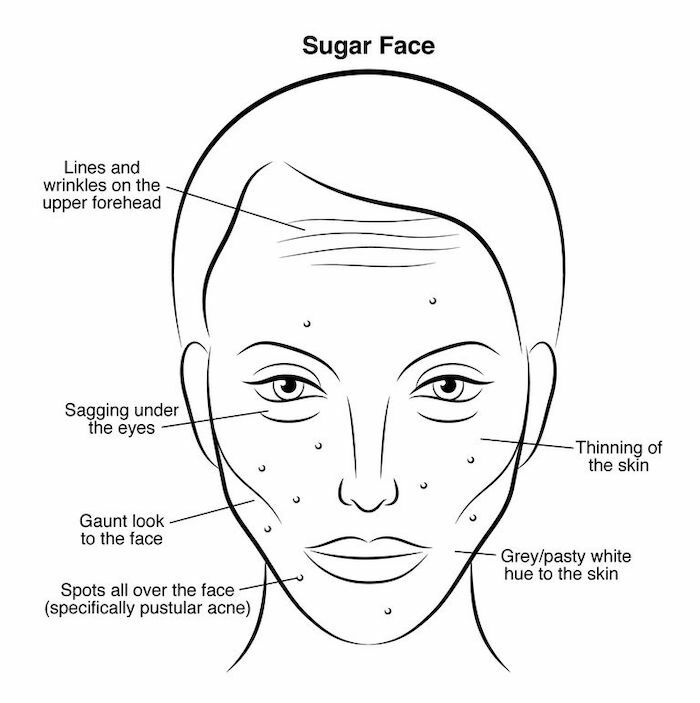 Yes sugar face is real and there is research and information from many leading dermatologists that backs it up. Regular consumption of sugar affects the body negatively in a multitude of ways that can include weight gain, cavities, sleep disruption, cognitive impairment, mood swings as well as a weakening the immune system. And when it comes to your face, it’s just as bad. Why Is Sugar So Bad For Your Skin? Sugar consumption triggers a process known as glycation. Glycation occurs when excess sugar in the bloodstream reacts with proteins and fats to produce advanced glycation end products also known as AGEs. AGEs break down collagen and elastin which keep skin smooth, firm and elastic and this leads to an increase in the signs of aging like inflammation, wrinkles, sagging skin, age spots and vein conditions. There are three types of collagen in your skin: I, II, and III. Type III is the longest lasting and strongest. AGEs degrade the structure of type III collagen causing skin to become less smooth, supple and firm. In addition, AGEs change protein structure in the body, causing nerve pain, retina disease, and artery blockage that can lead to cardiovascular disease. Glycation can also create more testosterone which makes pores larger and triggers oil production in the skin. What Does Sugar Do To My Face? Despite it's sweet taste, sugar is actually highly acidic and is one of the worst when it comes to causing inflammation in the body. Sugar causes a rise and drop in blood sugar levels which leads to inflammation. Inflammation in the skin will cause breakouts as well as exacerbate existing skin conditions like psoriasis, acne, rosacea, and eczema. The inflammatory properties in sugar also attacks the healthy collagen in your skin on a cellular level leading to dull-looking, sagging and wrinkled skin. Sugar is also a dehydrator that affects water binding which can not only make skin dry and less supple but also appear swollen and take on unwanted dark eye circles. Since it creates an internal imbalance, drinking more water won't help. High sugar diets have also been linked to creating free radicals which accelerate the effects of aging and create damage like brown spots and broken capillaries as well as weaken skin structure. The good new is that if someone were to give up sweets, they could see visible results within just 72 to 96 hours. Not only would they feel better, but they will have better skin tone. Their skin will be less oily and dry and dark circles will reduced. Doctors and dermatologists generally recommend staying away from anything with processed and added sugars and simple carbs which readily convert that to sugar in the body. Yes that includes cookies, cake and most sweet treats. High fructose corn syrup and other liquid sugars like barley malt, dextrose, and maltose can also be also harmful. Beware of hidden sugars especially in processed foods, sauces, dressings and condiments. For example, a single tablespoon of ketchup (which often is made with high fructose corn syrup) can contain 4 grams of sugar which is more than a chocolate chip cookie. Another place to watch out for added sugar is in bread. Artificial sweeteners are not the answer because they can cause other health issues. And while natural sweeteners like fruit juice, honey or maple syrup may seem healthier, they are nutritionally similar and your body still processes them into glucose and fructose the same way as sugar. There's really no health advantage to consuming added sugars of any kind. Keep in mind that refined carbohydrates, processed foods and meats, excess alcohol and deep fried foods also contribute to the glycation process. Consuming antioxidant rich foods such as low sugar fruits and vegetables in place of sugar is a good bet since antioxidants are key to fighting free radicals which cause inflammation and disease. Because of their fiber content, whole grains tend to be digested more slowly than white rice, bread and pasta, so your blood sugar is stabilized and your skin doesn't get loaded with as much glucose at one time. Not all fruits and vegetables are created equal. Bananas, beets and carrots all contain more sugar than kiwi, berries and leafy greens. Becoming familiar with how foods rank on the glycemic index can be helpful since they break down more slowly which slows down glycation. It's not about depriving yourself but making sensible choices and eating a nutritionally balanced diet with plenty of antioxidants and omega-3 fatty acids. Good skin comes from of a contribution of elements including genetics, skin care, environmental and lifestyle conditions. Because of how the functions of our body’s organs are intertwined, our diets can affect multiple factors of our health including our skin and the condition of our skin does actually reflect our health. If you don't believe that, then just keep living in a fool's paradise. You don't have to ditch sugar completely and it's okay to treat yourself occasionally but consider that cutting down your daily consumption can make a real difference both in your overall health as well as the health of your skin. Be sure to read labels and inform yourself because there are many hidden sources of sugar you many not even be aware of. It's been over 15 years since I've personally eliminated sugar and I don't miss it at all. I have a sweet treat every so often but I don't crave them and I only have a bite or two. I also avoid fruits with a high sugar content. Carbs were harder but I learned to limit them and switch it up to whole grains. We're an Asian household. We're not giving up rice so we have brown rice and forbidden rice and I don't eat that much of it. And if you see me post a picture of a sandwich, I probably only ate 1/3 of the bread. My favorite condiment is dijon mustard which has no sugar. I like to snack on roasted seaweed and pickles and if I want something sweet I have a handful of goji berries or an apple. I enjoy a variety of food and I never feel like I'm missing out. Because I once had serious health issues, I try to be conscious about what I eat. I like to know where my food comes from and I try to eat as cleanly as possible. Pizza is one of my weaknesses and I treat myself once a month. I happen to genuinely like healthy food. If I had to choose between a cupcake and broccoli, I'd pick the broccoli (roasted please) and be happy with it. I just feel better when I eat clean. I also function better and as an added benefit my skin looks better. Have you ever given thought to how much sugar you consume? Great informative post about sugar and so true to much cause issues with your skin and speed up process in aging just like the sun. I really do not like to much sweet realistically I do not eat candy of any types but cake I enjoy in moderation meaning special occasion like Birthday. I do love my pasta and rice that I also eat in moderation. Sugar is my weakness, so I try and limit the intake as I can see the impact it has on my skin and my overall mood. I am nowhere near your way of eating though, despite knowing about the impact it has on my skin and health. Hi Rowena, I'm really amazed to know about your eating habits. You are so strict about your diet but unfortunately I'm not, I take sugar at least two spoon daily in my two cup of tea. I also eat chocolate occasionally. I really do wish that all the foods I love are not bad for my health. Very inspiring post. Thanks for sharing such topic with us. Dear Rowena, kudos to you how you forgo sugar since that long time! I'm doing the same as you but I live with as less sugar as possible only since more than a year. But I feel great and I know for sure I will continue it. Thanks for this informative post. 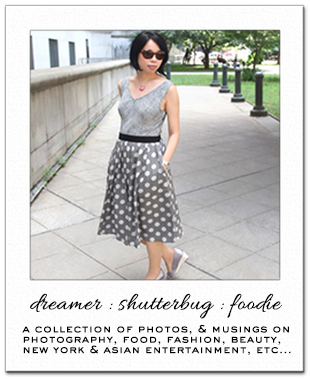 Great share, Rowena, very informative post!!! It's good to hear that you have chosen to forgo sugar in your diet. I've had to my whole life so I understand this, in many ways I am glad that I have such a weird allergen. I use alternative natural sweeteners. Carbs are in a lot of foods but you just have to eat the right kinds, so I try to eat more complex carbs than simple but it's a battle to balance. Glad that your health is better. Hello Rowena, I thought it was a very interesting article explaining the reasons why we should give up the consumption of sugar, I have tried but I do not get used to it and remove it completely, I do not consume processed foods daily but if from time to time, I I seem to have to keep trying because if you say that the results are between 72 and 96 hours it is worth reducing the consumption of sugars since they do not benefit the organism. Kisses. Yes it is true I have know this a while sugar is bad for your skin, bad for you body causes oxidation and it is now linked to heart problems. I do not eat a lot sugar but do allow myself more sugar between Halloween and New Years then it is back to minimal sugar. Great informative post here! Great information; thanks a lot for sharing. This is such a wonderful post and a topic I was thinking of writing about, but you covered all the points! I've know about the impact of sugar for a while now but I didn't know "sugarface" was actually a thing, I guess it just shows how much it effects our skin! I have a huge sweet tooth so cutting sugar out has been a struggle for me, and if I go cold turkey I end up rebounding and binging on a box of donuts �� Balance is definitely the key here! Roasted broccoli all the way! I eat a lot less sugar now along with reduced carbs. It certainly has helped me feel healthier and better. You're right, you also don't miss sugar after a while. I do experiment with coconut sugar/fruit alcohol sugar and give the kids honey vs. sugar. That helps as well. But now that I know more about what sugar does to my face - no thank you!!! We have a sweet tooth.. when my husband and I would go out we'd share an entree just so we'd have space for dessert. We don't do that anymore.. we try to limit the sugar but I have never thought of cutting it out completely.. for now the cutting back is all we can do.. else for sweet lovers like ourselves it feels like deprivation.. but we are working on it.. maybe one day. Generally speaking, I haven't given up sugar completely, but I definitely stay away from processed food and try to avoid sugar as much as I can mostly because it causes inflammation. I have to be mindful of what I eat, and there are even days when I even have to stay away from natural sugars such as fruits because at times anything sweet can trigger stomach pains. There are many downsides to high sugar consumption...and it's absolutely true that some bacteria literally feed on sugar, especially those that cause urinary infections. I must admit that I have never thought about what sugar does to the skin, I remember reading that it was bad for the skin but I haven't thought it was this bad. This is a very educating article. Huh! I did not know how bad sugar was. Interesting. Thanks for the post, very interesting.